Benjamin Franklin, inventor, statesman, writer, publisher and economist relates in his autobiography that early in his life he decided to focus on arriving at moral perfection. He made a list of 13 virtues, assigning a page to each. Under each virtue he wrote a summary that gave it fuller meaning. Then he practiced each one for a certain length of time. To make these virtues a habit, Franklin can up with a method to grade himself on his daily actions. In a journal he drew a table with a row for every virtue and a column for every day of the week. Every time he made a fault, he made a mark in the appropriate column. Each week he focused his attention on a different virtue. Over time, through repetition, he hoped to one day experience the pleasure of "viewing a clean Book." He says that he carried out this personal examination for years. In order to do the work thoroughly he decided to attempt each virtue and a quarter of its importance - one at a time. He began with temperance, which included the moderating of every pleasure or inclination to develop undesirable habits, because temperance "tends to procure that coolness and clearance and head that is so necessary where constant vigilance is to be kept up and guard maintained against the unremitting attraction of ancient habits and the force of perpetual temptations." From five to seven each morning he spent in bodily personal attention, saying a short prayer, thinking over the day’s business and resolutions, studying and eating breakfast. From eight till twelve he worked at his trade. From twelve to one he read or overlooked his accounts and dined. From two to five he worked at his trade. The rest of the evening until 10 he spent in music, or diversion of some sort. 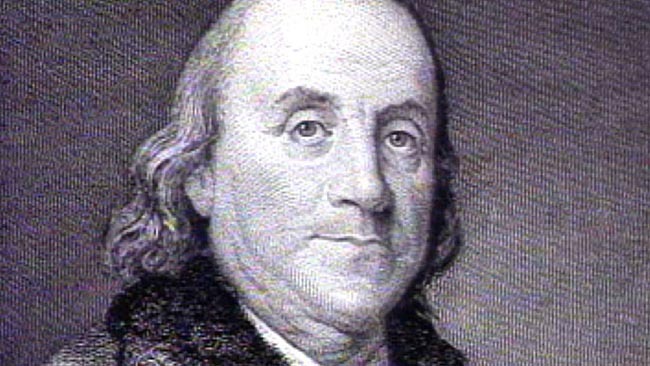 Franklin's extraordinary success in life and politics can be attributed to his perseverance to overcome his personal liabilities, and his desire to constantly become better. Next time you really want to achieve something, take time to focus on your own personal journal. What is your temptation that is standing in your way to greatness? What can you do to form the habit of becoming a success?